Mexican television actor known for his leading roles in Amor en custodia, Camelia La Texana, and Señora Acero. 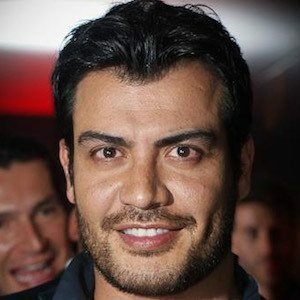 He began his acting career in 2000 playing Jaime Galán Valdés in the television series El amor no es como lo pintan. In 2010, he made his feature film debut in the romantic comedy Sucedió en un día. Though he was born in Chile, he moved to Mexico at the age of two. He supported Blanca Soto in the 2014 Telemundo series Señora Acero.